Prepper Talk Radio Episode 53, 10 05 16 The What, How, and Why of Prepping. Yes, I'm a proponent of the Oxford comma. 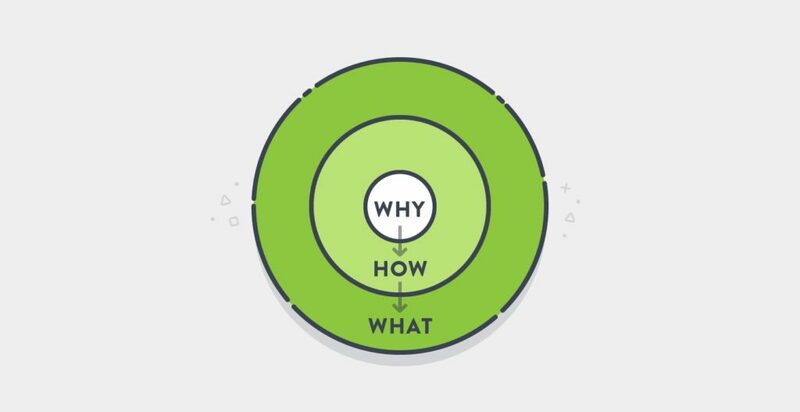 I'm also a subscriber to Simon Sineks "Start with why." This method of problem solving has been around for a long time. Simon is the most recent individual to remind us of it and how we can apply it. Start with why. Aim for the bulls eye. If you hit anywhere in the outer two circles you're still on target and making progress. If you're practicing combat accuracy shooting, hits in the two outer circles are likely gonna get the job done. However, when you have a dilemma of what to do next or how to determine your priorities what is your process to make good decisions? Aim for the bullseye. Notice that I said 'good' decisions and not the best decisions. Making the best decisions can be done but don't feel bad when you don't always make them. Aiming for the 'Why' will help you to make the best decisions, but if not, if you follow this model, then you'll still make a good decision. Start with why. Why do you prep? Use this question to help you to determine the How and the What. When you start with why you can then create focus to narrow the concentration of your time and resources to the How. This will then help you to determine What matters most, which then becomes your highest priority. How do you prep? Gain knowledge and skills. Prepare your mind. Prepare you home. Prepare your family. Learn, then teach. Food is an easy one. You already know why you need it. Buy what you know that you already like and fill your cupboards with it. The long term food storage can be more difficult to decide. I've spent hours and days researching freeze dried food. I've tried lots of it and thought a lot about why we might need some as part of our long term food storage. What I have determined is that I prefer, over an extended period of time, to eat the basic staples like rice, bread, oats, beans, etc. than to eat fettuccine alfredo night after night. But I have also determined that there is a need for meals that are tasty and quick and easy to prepare. This allowed me to determine exactly how much of each we should have in our food storage. The "Why" was easy, the "How" and the "What" were more difficult to determine. I wasn't about to just pick a freeze dried food dealer and just buy a bunch of their brand without trying it and researching it. We may very well have determined that our family didn't like the taste of much of their food. Then we'd most likely be stuck with it. Figure out the WHY, lean about the HOW and the WHAT will more easily fall into place. The what is a tremendously huge undertaking. When you have determined the why and the how first it makes it much easier to select the stuff you need to accomplish the how and why. Some people that I have know have chosen not to include firearms and ammo as part of their preps or they have chosen to have very minimal of these tools. To me this is insanity. This is because my why is much different than theirs. Perhaps it also has been influenced by the how; the time I have put into building my knowledge on the subject. I think many of us, including myself, first focus on the what. What stuff do I need so that I can be prepared? This is not a terrible way to start. "I need food and water storage." Why? Because I don't want to needlessly suffer and die from hunger and thirst. I need a way to defend myself and my supplies." Why? Because I don't want to needlessly suffer and die. Because I don't believe that anyone has the right to take away what I have worked hard to acquire. Because I will not allow my God given rights and freedoms, or those of my family, to be trampled. Those can be some powerful motivations to become prepared. How will you store up food? I''ll buy canned and freeze dried foods as well as wheat, rice and beans in bulk. Why? Because the power may go out and the food in my fridge and freezer will quickly spoil. Because during an emergency I may not be able to get what I need at a store. How will you defend yourself and your preps? I'll buy a 12 gauge Remington 870 pump shotgun? Why? Because I have learned that shotguns are very effective defensive weapons and the Remington 870 is a dependable and respected for home defense, and I feel more competent with a shotgun than with a pistol. These are just examples. So, why are you reading this blog? Listen to our weekly live broadcast on AM 630 K-Talk in SLC, UT each Wednesday at 9AM MST.